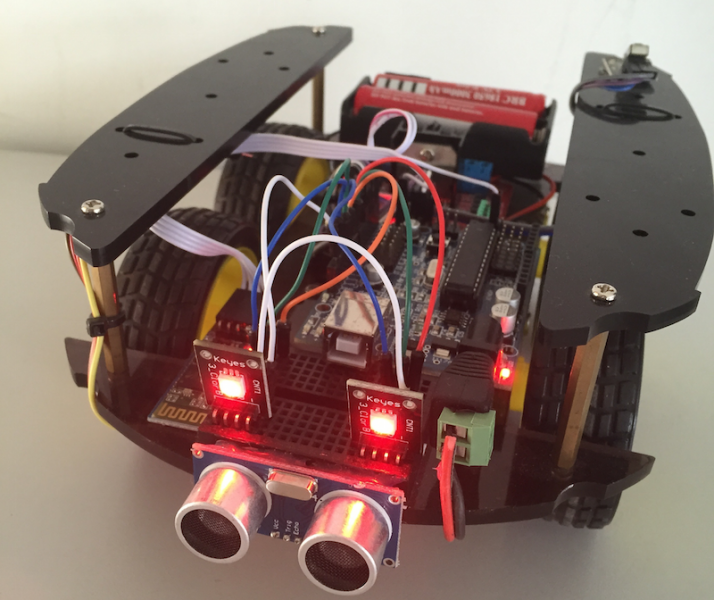 DIY Simple Arduino Bluetooth controlled Robot - Steven B. 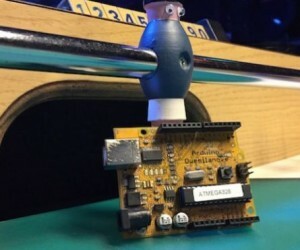 This is a detailed guide on how to build a Bluetooth controlled robot using an Arduino, the robot is controllable from any mobile device or laptop over Bluetooth, has lights, and a distance sensor to prevent it from crashing into the stuff. 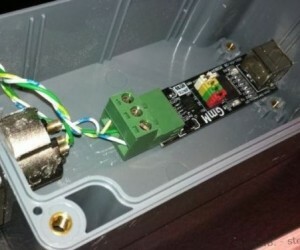 The Bluetooth can also be used to remotely program your Arduino and directly drive your car from the Arduino IDE console. IN1 and IN2 are for driving the “A” side of the motor board while IN3 and IN4 drive the “B” side of the board. You can try controlling the motors yourself or you could use my code below. The Bluetooth module (HC-05 or HC-06) has 4 pins (+5V, GND, TX, RX). 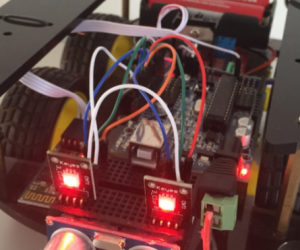 Program following code in your Arduino and your robot should work right away. the app sends "0" before close the connection. This entry was posted in Android, Arduino and tagged android, app, arduino, arduino robot, automatically, bluetooth, bluetooth controlled, bluetooth controller, build, car, distannce sensor, diy, driving around, driving robot, easy, guide, ios, lights, motors, phone controller, Simple, wheels, wireless. Bookmark the permalink.